Eligible authors have yet to publish their fiction in book form (a book is defined to have a length of 48 pages or more). Publication in literary magazines is acceptable. One prize of $1,000 (CAD) is awarded. 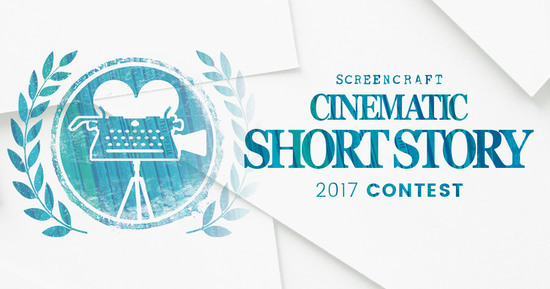 This year’s contest deadline is May 1, 2017. Submissions are now open! Eligible writers have yet to publish their fiction in book form and may submit one short story per entry. Writers who have self-published a book of fiction are considered to have published their fiction in book form and are therefore ineligible to enter the Far Horizons Awards. You are, however, welcome to enter your work in our Open Season Awards. The story must not exceed 3,500 words. Please double space your work. $35 US for entries from Mexico and outside North America. Entrants receive a one-year print subscription to The Malahat Review for themselves or a friend. Digital subscriptions or digital/print bundle subscriptions are not available through Malahat contests. Entries already published, accepted, or submitted elsewhere are ineligible. Should Malahat discover that an entry it has received fails to satisfy this criterion, it will be immediately disqualified, no matter at what point it has arrived at—submission processing, screening, shortlisting, or final judging—in the adjudication process. Should an entry be disqualified, the entry fee will not be reimbursed; the entrant, however, will still receive his or her one-year subscription to the magazine. Previous publication is considered to be any appearance in print or online, including on or in a newspaper, newsletter, magazine, anthology, chapbook, book, website, electronic magazine, personal blog, Twitter, or Facebook. Please note that even if the print run or circulation of the print publication where the work has previously appeared is small, this is still considered previous publication. No work that has been excerpted elsewhere is eligible for submission; nor is a work that has been revised since its original publication. When submitting by email, please ensure you include a cover letter with relevant contact details (more below under Enter by Email); do not simply put this information in the body of the email. We also ask that no personal or contact information is written anywhere on submission itself. Entrants’ anonymity is preserved throughout the judging. Contact information (including an email address) should not appear on the submission. Entrants will not be notified about the judges’ decisions even if an SASE is enclosed for this purpose. The winner and finalists will be announced on The Malahat Review‘s website and Facebook page, with the publication of only the winning entry appearing in the Winter 2017 issue. The winner will be interviewed. The interview will appear on our website and in Malahat lite, the magazine’s e-newsletter, in September 2017. No entries will be returned, even if accompanied by an SASE. Tethered by Letters (TBL), a literary nonprofit and independent publisher. Our tri-annual publication, F(r)iction, is an art and literature imprint that is distributed around the world. It features short fiction, flash fiction, poetry, and even a selection of graphic stories. It also showcases amazing artwork. The deadline for Tethered by Letters’ 2016 Spring Writing Contests is August 1, 2016! This time around, Tethered by Letters is offering $1600 in prizes for our Spring Contest winners. Emily St. John Mandel, author of Station Eleven, will be judging short story submissions; poet, teacher, and activist Suzi Q. Smith is the poetry judge; and Helen Phillips, author of The Beautiful Bureaucrat, will choose the best flash fiction submissions. In addition to a weighty cash prize, winners of the Spring Contest will be considered for publication in F(r)iction, our tri-annual journal of fine art and literature. The deadline (August 1, 2016) is fast approaching! Visit TBL’s website for guidelines and more information. Got something short, sharp and snappy to tell? Wow us with your most economical and brilliant storytelling. This contest is for short fiction under 1000 words. Want feedback on your story? Get a professional critique from one of the Pulp Literature editors for only $15 more. This contest is for previously unpublished works of fiction up to 1000 words in length. Total entries limited to 300. Prizes are $1,000, $500, and $300. Sapiens Plurum’s latest literary challenge is to personalize the consequences of climate change so readers feel as well as know them. But stories must offer hope, at least a possibility, for without hope people rarely act. Your job, as author, is to inspire scientists and states-persons around the world to live up to the promise of the Paris Climate Change Agreement. Limited to 1,500 to 3,000 words. $500 prize, publication in The Conium Review, five copies of the print issue and one copy of the judge’s latest book. Submit one or more short stories up to 7,500 total words. Innovative short fiction should take risks that pay off. Don’t tell us a story we’ve already heard. Show us something new with your subject, style or characters. Make sure your writing has a “wow” factor. This year’s contest judge is Lindsay Hunter, author of Ugly Girls, Don’t Kiss Me and Daddy’s. Judge: Hilary McMahon of Westwood Creative Artists. 1st prize will also receive commentary from Ms. McMahon. How to Enter: Please send the story as an attachment in Word format. Judging is blind, so make sure there is no identification on the story. Your name, email, phone number, word count and title should appear in the body of the email. WOW! Women On Writing invites entries to its Spring 2015 Flash Fiction Contest, sponsored by BookBaby. The mission of this contest is to inspire creativity, good storytelling, and provide well-rewarded recognition to writers of all levels. Guidelines: Seeking short fiction of any genre between 250 – 750 words. Electronic submissions via e-mail only; reprints are okay; multiple submissions are okay as long as they are submitted in their own individual e-mail. Writers retain all copyright to their stories. Open internationally. Prizes: 1st Place: $350, The Complete Publishing Package from BookBaby ($579 value), $25 Amazon Gift Card; 2nd Place: $250, $25 Amazon Gift Card; 3rd Place: $150, $25 Amazon Gift Card; 7 Runners Up receive $25 Amazon Gift Cards; and 10 Honorable mentions receive $20 Amazon Gift Cards. Top 10 stories are published in the WOW! Women On Writing e-zine, and contestants are interviewed on WOW’s blog, The Muffin. Limited to 300 entries. $10 entry fee. Critique option also available. Using the photo published online for inspiration, you have just 1000 words in which to complete your story. Open to writers worldwide. 23rd year. Bigger prizes! Best short story wins $1,500. Best essay wins $1,500. Total prizes: $4,000. Limit: 6,000 words per entry. Both published and unpublished work accepted. 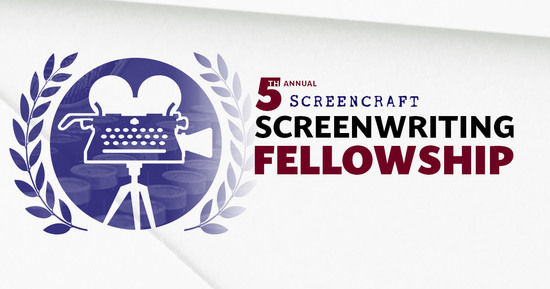 Submit by April 30, 2015. JUDGE: Matt Bell, author of In the House Upon the Dirt Between the Lake and the Woods. WHAT WE WANT: Your absolute best, most imaginative fiction up to 1,000 words. Submissions should be typed and double-spaced. Include a cover letter with a brief biography, your contact information and any other pertinent information about your submission. Simultaneous submissions are fine but please let us know as soon as possible if the work is accepted elsewhere; multiple submissions are also fine, although you will have to pay the contest fee again. Please remove your name or any other identifying marks from your manuscript before submitting. HOW TO DO IT: Submit online or send a SASE to Mike Coakley and Laura Miller, Editors-in-Chief / (c/o Fiction Editorial Board) / Sonora Review / Dept. of English / University of Arizona / Tucson, AZ 85719. WINNER RECEIVES: 1,000 dollar cash prize and publication, finalists will be considered for publication in Issue 66 of Sonora Review. Open to new, emerging and established writers. $300 Prize and online publication. Send your best unpublished work. Postmark deadline: June 30, 2014. Note: This contest is open for everyone whose age is more than 16 years old, whose mother tongue is not Spanish. Win one of the 5 free Spanish courses. The Escuela Delengua’s Micro Fiction Contest is back! Spanish is something that united us and we like to teach Spanish as a foreign language. This is why the theme of this year is learn Spanish). This contest is open to people that are interested in the Spanish and Hispanic language and culture. Winners will receive a free Spanish class in our school. Come on, take part in our contest! A free Spanish class or a good discount may be for you. What is a micro fiction? A micro fiction is a story with a fixed maximum length. The maximum length of each story is 100 characters, including spaces. #learnSpanish I’m writting a good micro fiction in English to take part in the contest of the Escuela Delengua. @DelenguaGranada #apprendreespagnol o @DelenguaGranada #Spanischlernen (following by the chosen language). 28th of April 2014 – 28th of May 2014: Every visitor of the web page can vote for the best micro fiction. 28th of May 2014: Names of the winners of the 2014 Micro Fiction Contest will be published on the web site. The author of the micro fiction with the most votes, in each language, will receive a 2 weeks Intensive Spanish Course for free. It will be followed by a 2nd prize consisting in a 20% discount on a 2 Weeks Intensive Spanish Course. .
Each participant can send a maximum of 3 micro fictions, in one or more languages, using the subscription form they want, although a same participant cannot receive more than one prize. Northern Colorado Writers is hosting its 4th annual contest series, beginning with Short Fiction. You do not need to be a member of NCW or in Colorado to enter. will be published in and receive a free copy of the winners’ anthology, POOLED INK. Final judge for Short Fiction is Seth Brady Tucker. Any style or genre; max. 5,000 words. Deadline is March 31, 2014. (under Events > Writing Contests) for submission guidelines. Two Contests Pave the Way for TellitMyWay Launch! As Tell it my Way prepares for public launch, we’d like to invite children’s writers and storytellers to enter our exclusive contests, Something New to Love, which begin on February 14, 2014. Highest-scoring Original Story. Between February 14, 2014 and March 14, 2014, writers will post their own original children’s stories on Tell it my Way. A week after the posting period ends, the author of the original story on the website with the highest score (determined by other users who can vote stories “up” if they like them or “down” if they do not) will receive a $50.00 Amazon gift card and will be featured on Tell it my Way! Highest-scoring Retold Story. Between February 14, 2014 and March 14, 2014, writers are invited to retell any story on Tell it my Way. A week after the submission period ends, the author of the retelling with the highest score with also receive a $50.00 Amazon gift card and will also receive recognition on Tell it my Way! You may enter both contests, and you may also enter as many original stories and retellings as you’d like! One writer may win both contests. To enter either or both contests, all you have to do is sign up on TellitmyWay.org and publish an original story or retell a story on Tell it my Way between February 14, 2014 and March 14, 2014. Winners will be notified by email. Winners must reply to the email within a week to assure us that the email address is legitimate, and then they will each be emailed a $50 Amazon gift card. The winners of the contests and their winning entries will be highlighted on the site as well as the runners-up. If you violate one of these rules, your story may be permanently deleted, and any retellings of your story will also be deleted. So be nice! Furthermore, entries cannot be removed from the website by their writers once they have been published on Tell it my Way. In addition, employees of Tell it my Way may not enter the contests. They are welcome to publish original stories and retell stories, but if an employee’s story or retelling receives the highest score, the prize will go to the non-employee with the highest score. and publication in the North Carolina Literary Review. Finalists will also be considered for publication in the NCLR. or a member of the North Carolina Writers’Network. (lives or has lived in NC) are also eligible. The competition is for previously unpublished short stories up to 6,000 words. One entry per writer. No novel excerpts. Stories do NOT have to relate to NCLR’s annual special feature topic. THREE CONTESTS OPEN AT WINNING WRITERS – SEE OUR SPIFFY NEW WEBSITE! Each one accepts published as well as unpublished work. Winners are promoted online and in our email newsletter, with over 50,000 subscribers. Follow us on Twitter at @winningwriters. Posted in Essay Writing Contests, Fiction Contests, Poetry Contests, Short Fiction Contests, Short Story Contests, Theme Issues | Comments Off on THREE CONTESTS OPEN AT WINNING WRITERS – SEE OUR SPIFFY NEW WEBSITE!